First published in 1970, A Room in Athens is the remarkable journal of a free-spirited, young American woman abroad in Greece with her writer husband in 1964. Inspired by the sixties’ vogue for the exuberant land of Zorba and Lawrence Durrell, they seek an Aegean idyll–but their plans threaten to go awry when she learns she is pregnant. Settling in Athens, she gives birth to a boy at the country’s only natural-childbirth clinic–an underground refuge ruled by a mysterious Madame Kladaki. 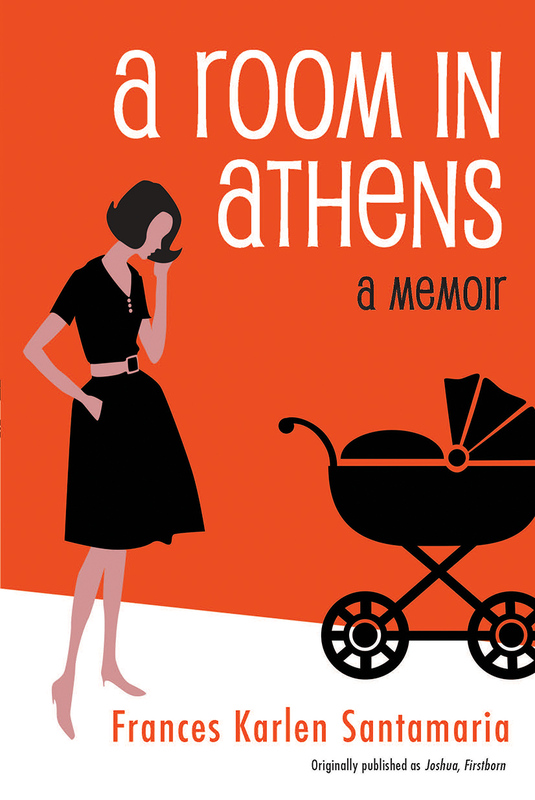 Afterward, as a new mother in a strange land, she struggles to reconcile the myth of Greece, ancient and modern, with contemporary Athens, even while their idyll recedes. In 1974, A Room in Athens was excerpted in the landmark anthology Revelations: Diaries of Women. This new edition, with an Introduction by the author’s son, unlocks a little-known gem in women’s memoir literature for a new generation. Frances Karlen Santamaria (1937–2013) was born in Cleveland, Ohio, attended Antioch College, and spent most of her life living in New York City. Primarily a writer of fiction and plays, this was her only published work before she was debilitated by multiple sclerosis, in her early forties. She was married twice and had five children.